Thirty years of specialisation has put Julian Shah firmly at the top of his field, with a practice handling many tertiary referrals (i.e from other specialists). His work as a neuro-urologist in reconstructive surgery and the rehabilitation of spinal cord injuries has helped hundreds of patients and has given him the expertise to deal effectively with bladder problems caused by trauma or disease. He also has a special interest in prostatitis (the painful prostate). 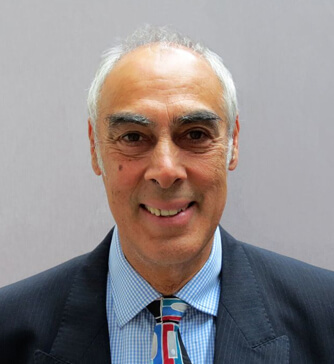 Julian is widely published and is an accomplished lecturer; he is currently Regional Representative to the Council of the British Association of Urological Surgeons. Mr Shah is also a specialist in fields closely related to urology, such as urodynamics, the investigation of bladder function, links into the fields of incontinence management, neuro-urology and reconstructive surgery. Julian also holds a specialist interest in prostatitis. Widely published in research, Mr Shah is currently the Regional Representative to the Council of the British Association of Urological Surgeons. He is also the Director of Urology at the Spinal Cord Injuries Unit at the Royal National Orthopaedic Hospital since 1985 and the current Director of Clinical Education at UCLH.